In Wisconsin, is there a better way to spend a summer day or night with friends than outside? I don’t think so! Amy will work with you to offer an adventure you won’t soon forget! Grab some of your besties and get out on the water. You can choose from a traditional format just like the public offerings, except with your pals and on your schedule. Or, if you’re looking for something a little different, let’s do that. Because Amy is a one woman show, she can bring the fun anywhere. Want to go to the family lake house? She will meet you there! 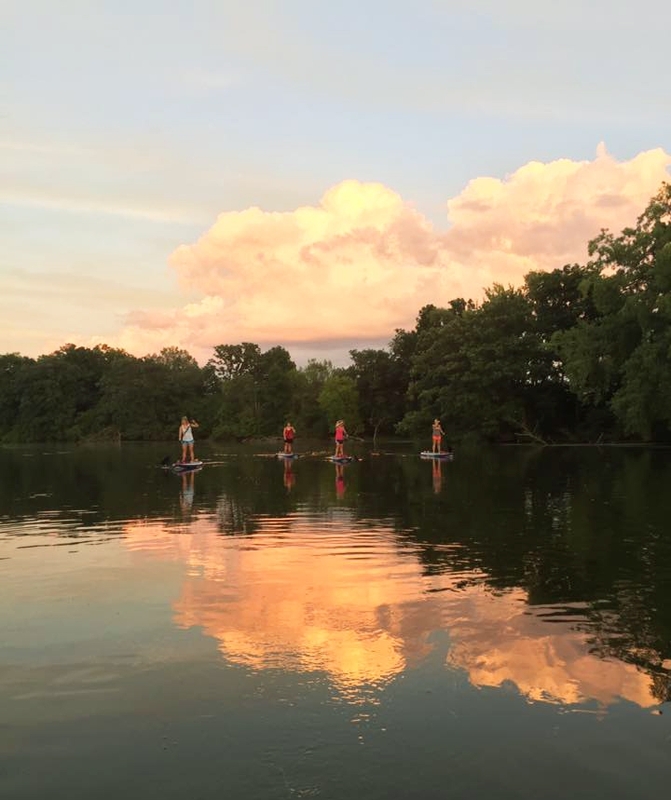 Are you and your friends more interested in just paddling, hold the yoga? No problem. What about experienced yogis that want a chance to try a little deeper practice than might be offered in a public class? Bring it on! Discount may apply if booking group 10 or more. Hourly rates are also available. Additional fees may apply if Amy comes to your location. To join a private class as an invited guest, click the link below.